Multirate energectic in the Russian apartments - the phenomenon of the young. But, according to experts, is very useful. And his main task is to help to save. However, many people are not in a hurry to install in your house such a device. The reason - too difficult to take readings and pay for electricity. But it's not as difficult as it may seem at first glance. First, it is important to determine how much rates on your counter: two or three. Then, in the beginning of the month, write down all the readings that are on the counter: T1, T2, T3 (if you have a three-tariff meter) and T1, T2 (if the apartment is a two-tariff meter). Entirely the data to write just one digit after the decimal point. For example, if the readings of your meter - 234,567 - write - 234,5. Decide what rate you need to pay the expense of electricity. In the presence of gas stoves and double-rate policies: T1(day) - 3.80 rubles, T2(night) - 0.95 rubles. In the presence of gas stoves and three-tariff counter: T1(peak) - 3.80 rubles, T2(night) - 0.95 rubles, T3(palupi) - 3.20 rubles. Electric cooker and two-tariff meter: T1(day) - 2.66 rubles, T2(night) - 0.67. Electric stove and three-tariff counter: T1(peak) - 2.66 rubles, T2(night) - 0.67 rubles, T3(palupi) - 2.24 rubles. 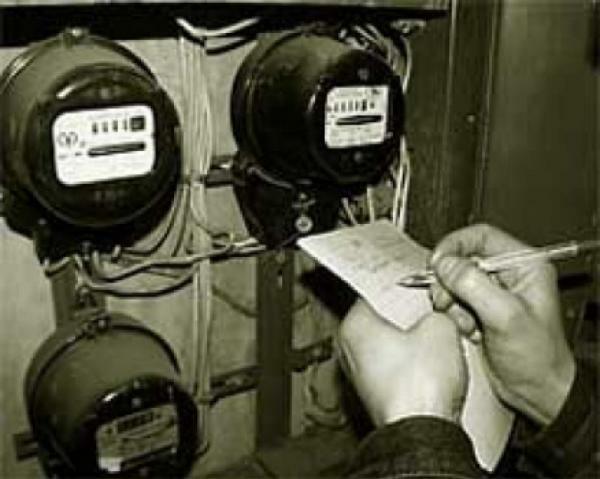 Now that you are aware of the meter readings and the tariff for payment, complete the receipt. Payment code when multi-accounting: the peak (T1) - 13 night (T2) - 2, p/peak (T3) is 15. Code of payment with dhatriphala counter: day (T1) - 1 night(T2) - 2. Next, make the counters of the current and previous (this month and previous one). The actual consumption is the difference between the data for the previous and current periods of payment (e.g., June - 121.3, July -156.4, supplies.fact. - 35.1). In the next column fill in the details of the rate (see step 2). Now calculate the amount of your payment (of).a fact multiplied by rate). Add up all the amounts and determine the total. Pay the receipt in the nearest branch of the Bank or in another (more convenient) way. Write down the data on a simple piece of paper, make the first calculations on it (in draft form) and only when you are sure of the accuracy of calculations, enter data in the receipt.